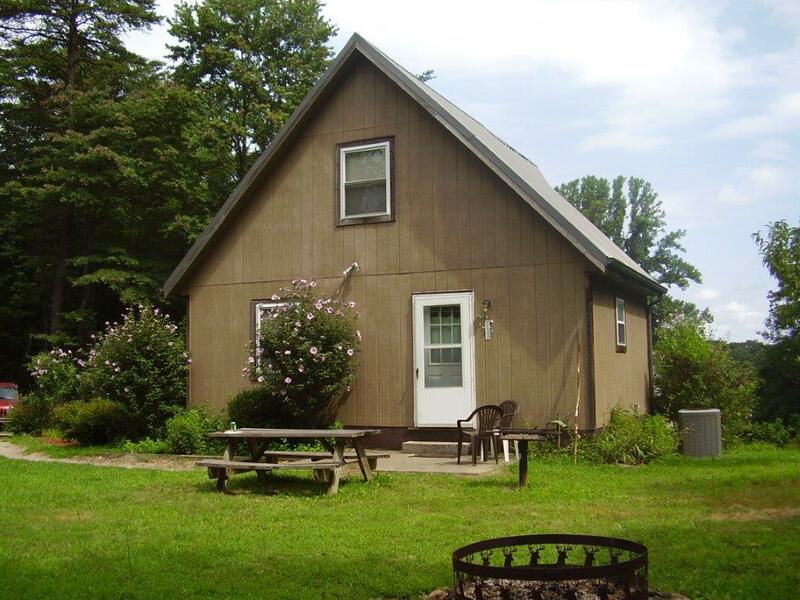 Fully equipped Kitchen, Cathedral Ceiling, many windows with sliding glass doors, deck, Hot Tub, with a Loft Bedroom, and a Handicap accessible bedroom downstairs. 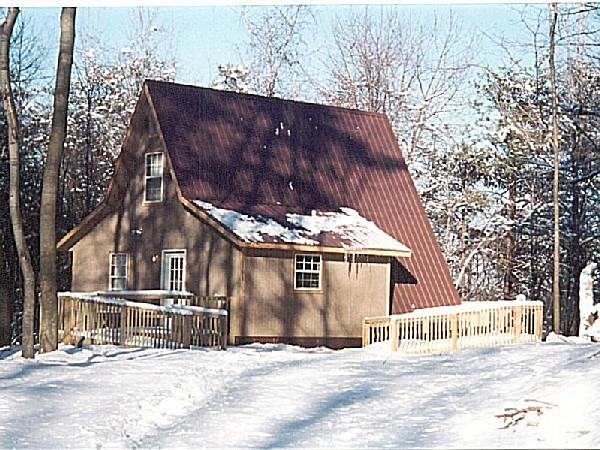 Cola View Cabin, the secluded vacation getaway cabin with spectacular views. 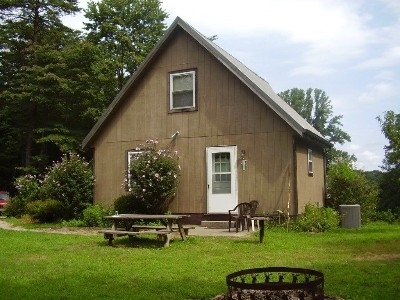 Beautiful large modified A-frame in the heart of the Hocking Hills. 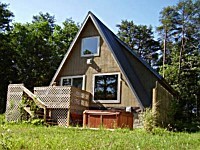 Sits high on a ridge with great views. 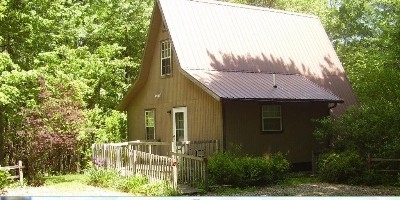 Very secluded close to major attraction and shopping with complete kitchen and laundry facilities.